Concrete batching plant takes sand, powder, cement, fly ash, etc as its original materials, and mixes these materials into the concrete. Because of its high automatic degree and advanced technology, our concrete batching and mixing plant can produce high quality concrete. These high quality concrete is so good either for its own or for sale. 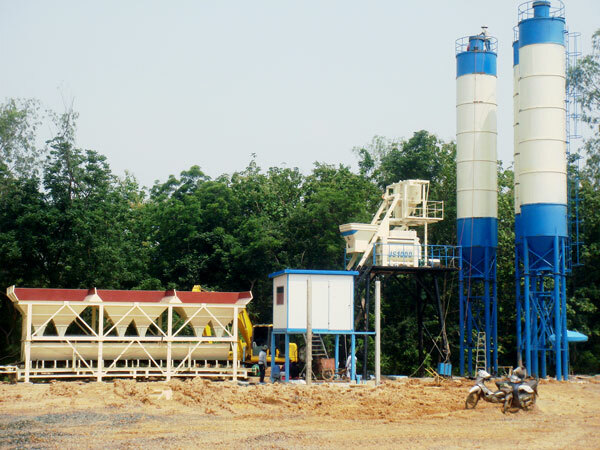 As the construction industry has been developing, the concrete batching plant has more wide application. 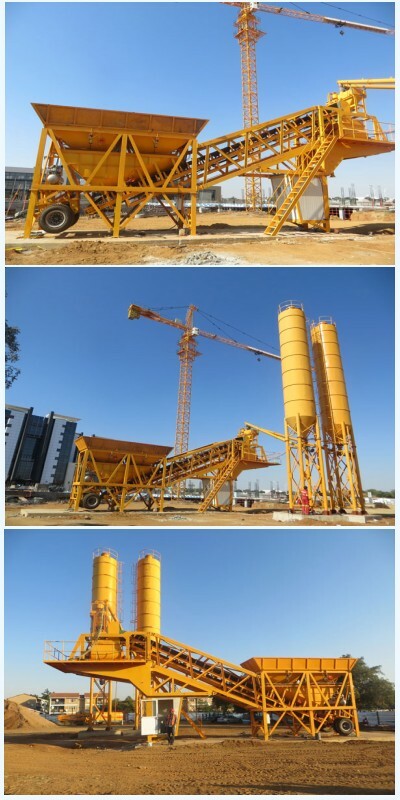 In general, concrete batch mix plant can be used for the water conservancy projects, electric power projects, bridge construction, airport construction, municipal engineering projects and so on. 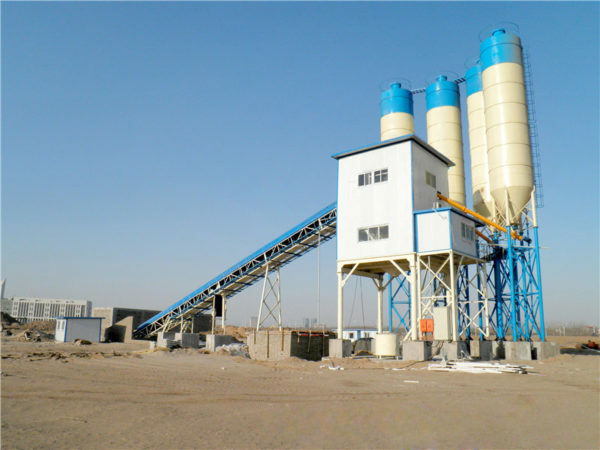 Therefore, if you have a project that need to use the concrete, investing a batching plant equipment is a good choice for you. 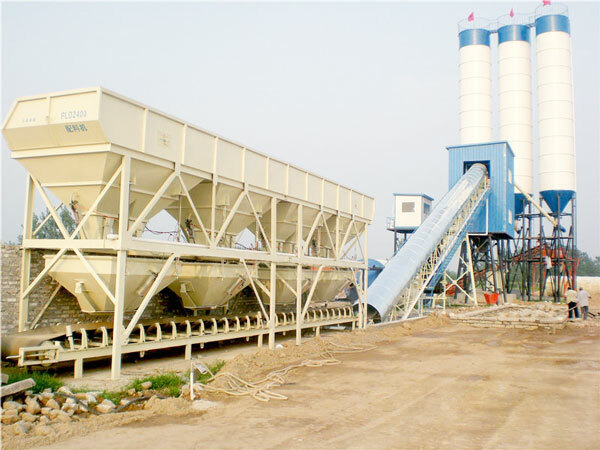 Fundamentally speaking, cement concrete batching plant have two categories, stationary type cement batching plant and mobile cement batching plant. You can learn the difference between stationary type plant and mobile type plant. Than choose a more suitable one for your construction project. Our stationary cement mixing plant is HZS series, including two types, skip hoist type plant and belt conveyor type batching plant. 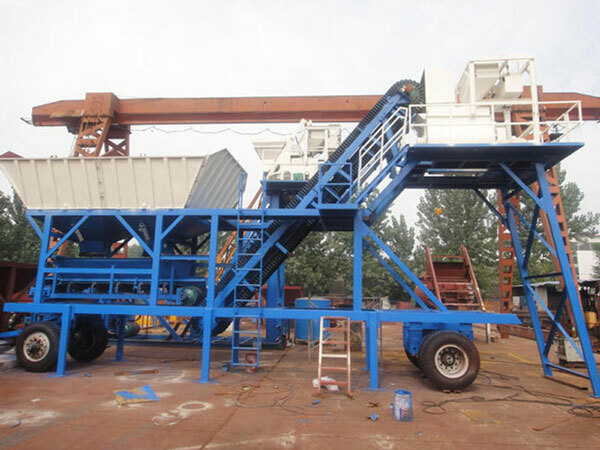 Stationary concrete batching plant is more suitable for these projects that have long construction period and don’t need to transfer the machine frequently. 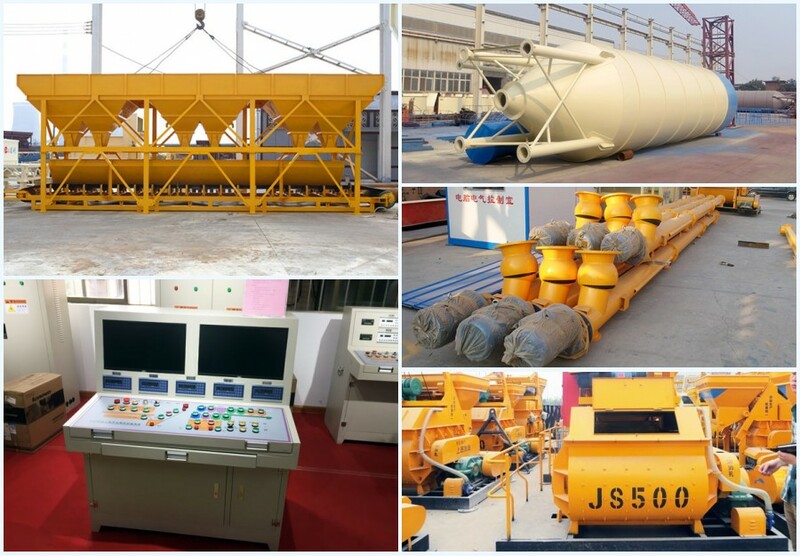 The models of skip hoist type stationary concrete plant have HZS25, HZS35, HZS50 and HZS75. Skip hoist type concrete plant transports the concrete directly to the mixer machine by hopper. The biggest advantages of skip hoist type concrete plant is compact structure, small occupation area, short transportation period and small investment cost. Because Philippines is our main market, there are many our customers. Recommending by a our old customer, the customer from Davao chooses our company. He selects the HZS90 stationary concrete manufacturing plant on order to produce commercial concrete. Under the guide of our engineers, the HZS90 concrete batching plant philippines is successfully installed and debugged in Davao. After using our belt conveyor type stationary concrete batch mix plant, our salesman visits our customers and gets the feedback about our machine and our service. 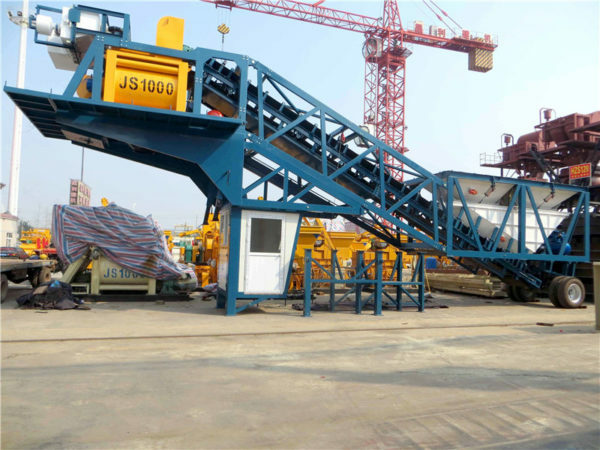 The belt conveyor type batching plant includes HZS60, HZS90, HZ120, HZS180 and HZS240. The belt conveyor type batching plant conveys the concrete to the waiting hopper by belt. Because the belt is completely enclosed, belt conveyor type concrete plant can reduce the waste of raw materials. Moreover, this can improve the quality of mixing. 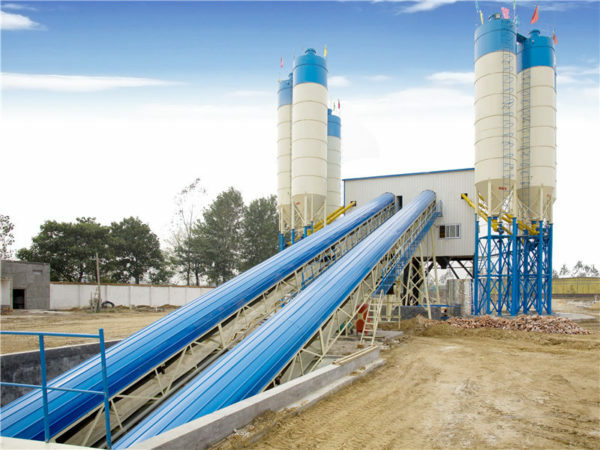 So if you want to produce high quality commercial concrete, belt conveyor type concrete mixing plant is an ideal choice for you. Belt conveyor type concrete plant equipment has the characteristics of novel structure, high automatic degree, high productivity, simple operation and long service life. This customer plan to purchase a concrete production plant, but he doesn’t know what model of concrete batching plant he should choose. After learning his requirements, our salesman recommends him the HZS50 stationary concrete batch mix plant. 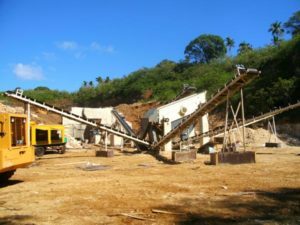 This customer want to build his own villa, so HZS50 stationary batching plant philippines can not only meet the needs for using concrete, but also save the initial purchasing cost. Our mobile batching and mixing plant is YHZS series, including YHZS25, YHZS35, YHZS50 and YHZS75. 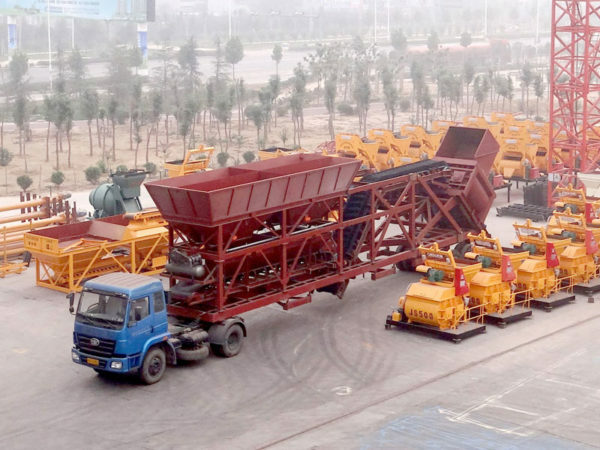 Compared with stationary type concrete batching equipment, mobile concrete batching plant is more convenient to move and install. It just needs to take several days from transporting the mobile batching plant machine to installing it. Meanwhile, it only takes a few people to do this work, which greatly save the labor intensity. 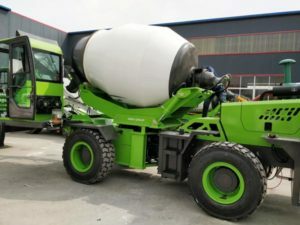 Due to quick movement, easy installation and small investment cost, mobile type concrete mixing station becomes more and more popular. Our customers from Cebu, Philippines gives high praise to our YHZS50 mobile concrete plant. After receiving the email from our customer, our salesman will reply them as soon as possible. In the process of communication, besides giving professional advice to our customers, our salesman also help them design a plan, including suitable machine, good transportation route, good payment way, etc. All in all, we can spare no effort to help our customer get a good quality machine with affordable price. Parts of concrete batching plant have concrete batching machine, the aggregate lifting system, cement silo, screw conveyor, weighing system, the mixer machine, control system and so on. Aggregate lifting system: Transport the weighed aggregate to mixer machine or waiting hopper. Screw conveyor: Convey the powder to the weighing system. Weighing system: Weigh the water, cement, additive, fly ash. 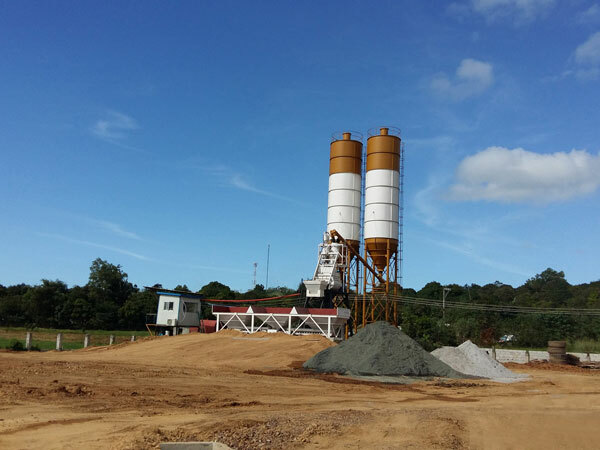 Cement silo: Store the cement, fly ash and so on. Mixer machine: Mix the weighed aggregate, water, additive, powder, etc. Control system: Include full automatic type and semi automatic type. Control the whole concrete plant machine. 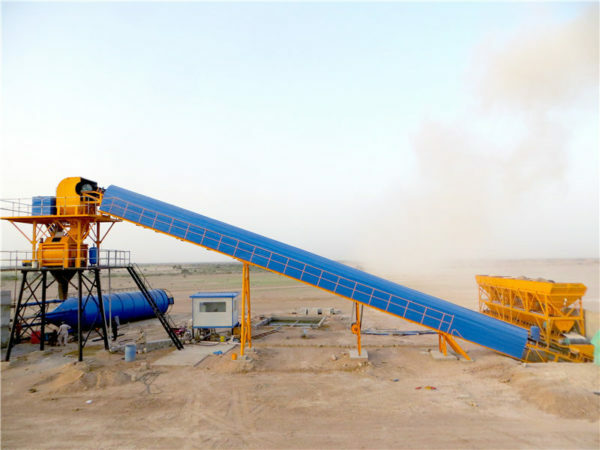 Flexible choice: Our Aimix Group provides different types of concrete batching plants for your selection, such as stationary concrete plant, mobile concrete batching plant, portable type concrete batch mix plant, small type batching plant, ready mix concrete plant, dry mix type plant and so on. You can choose a satisfied machine from our company. Advanced technology: We adopt international brand components. Moreover, we have applied many patents, which can reduce the failure rate and prolong the service life. High automatic degree: Adopt PLC control system, which makes operation simpler and safer. Excellent performance: Our concrete plant machine has the features of compact structure and rigid texture, which make the machine perform stably. As one of the leading concrete batching plant china enterprise, our Aimix Group has over 35 years manufacturing experience. We produce all kinds of concrete machinery. 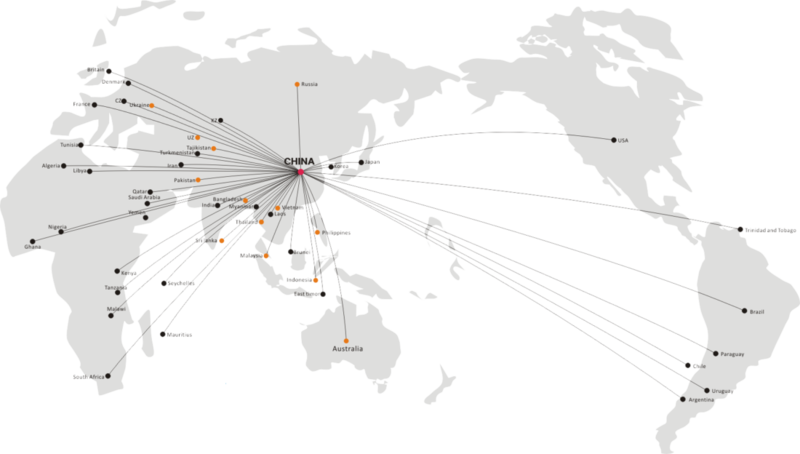 Up to now, our product has been exported to many countries, such as, Philippines, Pakistan, Malaysia, Indonesia, Fiji, Kenya, the United States, Australia, Vietnam, Burma, Uzbekistan, the South Africa and so on. If you choose our company, besides high quality machine, our Aimix Group also can offer you affordable price and sincere service. 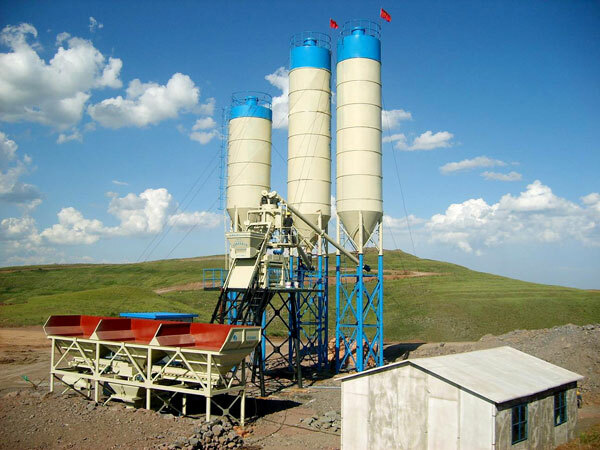 Therefore, if you want to purchase a concrete batching plant, please don’t hesitate to choose our company. Waiting for your message.